The Spinning Drum Stool is a gorgeous piece of furniture, can be used as a single seat for your visitors or as a foot rest in front of your armchair. Finished in a quality patent PVC with a buttoned top and a swivel chrome base. 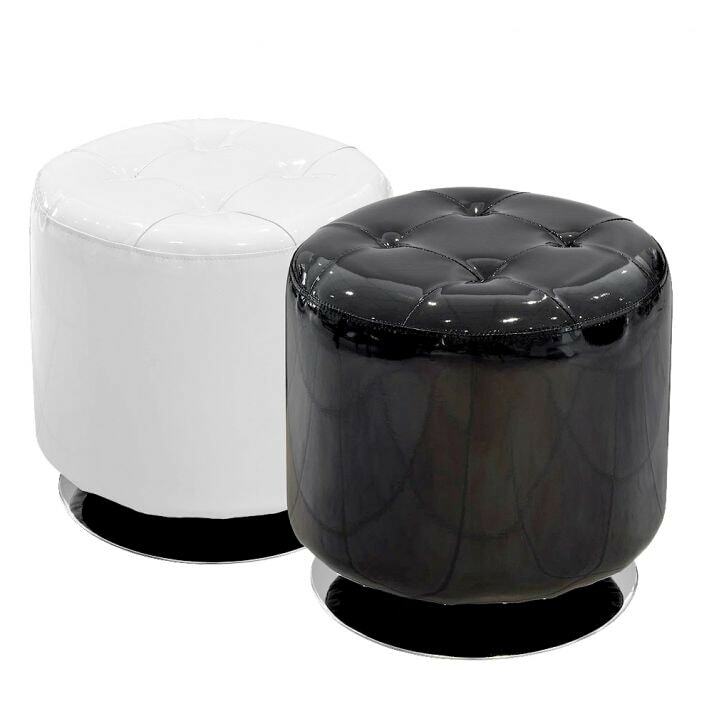 Available in white or black, this drum stool will become a welcomed addition in your home.